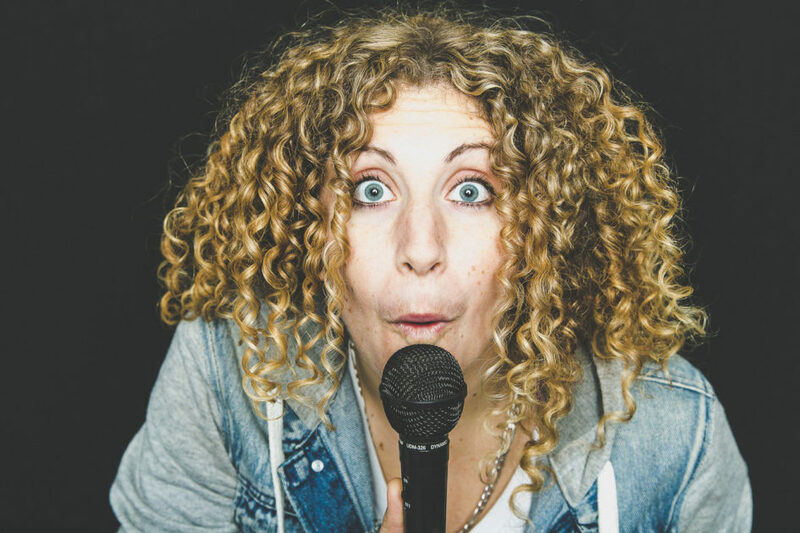 With a huge afro, and a love of pulled pork sandwiches, Adrienne Fish has been making her mark on Canada’s comedy scene. Based out of Toronto, Adrienne recently recorded her second nationally aired TV taping, has appeared on CBC’s The Debaters, and was nominated by NOW Magazine as Toronto’s Best Female Stand-up. She tours across Canada and the USA, performing at various clubs, colleges/universities, opening for household names such as Doug Stanhope and been invited to prestigious festivals such as the Winnipeg Comedy Festival, Hubcap Comedy Festival, Atlanta’s Laughing Skull, and Just For Laughs 42. Off stage, she can be heard on Sirius XM “Canada Laughs”, and her debut album went #1 on iTunes. She’s loud, she’s playful, and she’s watching you right now….